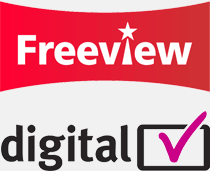 If you need Sky TV installed in your home, or are having difficulty with your aerials in Denton or Audenshaw (M34), call our expert TV aerial fitters todayfor cost effective and efficient service. We are able to provide customers in Denton and Audenshaw (M34) with affordable aerials services! Our TV aerial fitters have been dealing with problem aerials in Denton and Audenshaw (M34) for many years, and we are now a trusted aerial installation company in the area with many satisfied customers, so why not give us a call! Denton and Audenshaw (M34) covered! Whether you're after additional aerials sockets, a new aerial installation or repairs to your aerials, our expert TV aerial fitters are there to help when you need it. If you'd like to find out more about our services, or to book our TV aerial fitters in, call our reliable team today on 0161 433 8292. We're waiting for your call today!